What originally started as an experiment resulted in a delicious new liqueur, which boasts a subtle flavour balance between fresh egg yolks, Elixir d’Anvers, and Esprit Elixir d’Anvers. 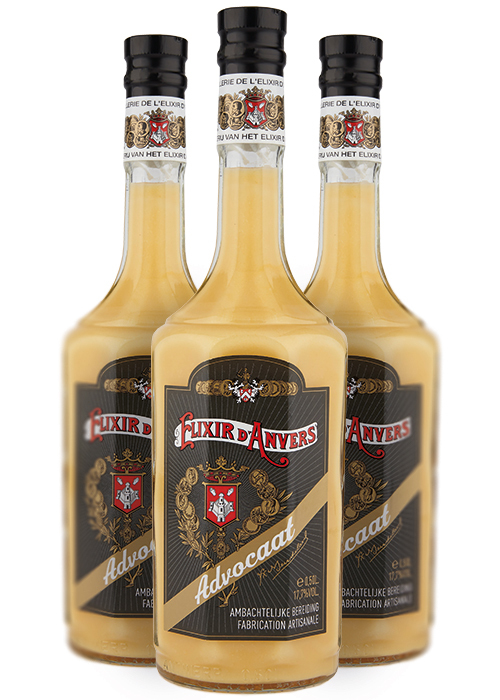 The particularly enjoyable Elixir d’Anvers Advocaat is a silky textured and smooth advocaat liqueur with the distinctive and characteristic flavour and aromas of Elixir d’Anvers. It is something unique! Drink Elixir d’Anvers Advocaat neat, or as an accompaniment to a lovely cup of coffee. Or combine Elixir d’Anvers Advocaat with vanilla ice cream, pancakes, or cake. An artisanal delicacy!